In this Ward 5 Report: Breaking down the DC budget; legislation to diversify financial asset managers; and march with Pride this Saturday! 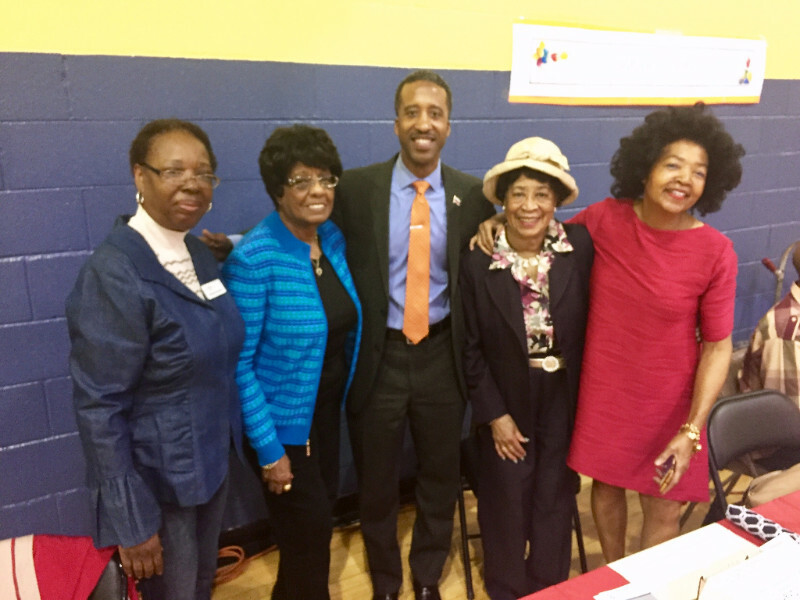 Councilmember McDuffie at Seabury Resources Ward 5 Senior Day at the North Michigan Park Recreation Center. 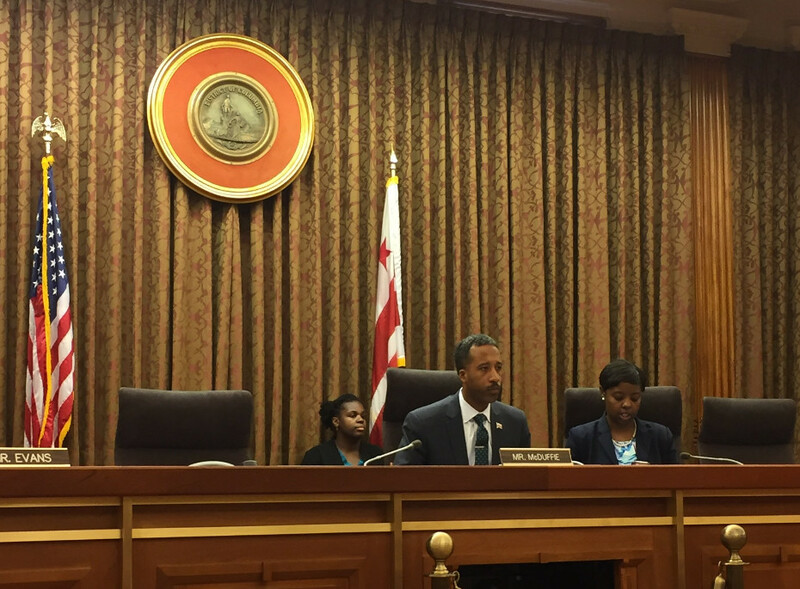 As the weather warms up and things turn to summer, my colleagues and I on the Council are wrapping up our work on the budget for the District of Columbia. The District's budget is approximately $13.8 billion with approximately $7.6 billion in local funds. $13.18 million for the Theodore Hagans Cultural Center, and $5 million for Fort Lincoln Park. Theodore Hagans Cultural Center and Fort Lincoln Park serve six senior-living buildings, and thousands of residents in the Fort Lincoln and Dakota Crossing communities. Unfortunately, neither can be adequately programmed to serve residents’ needs because of deficiencies in space and design. The mayor's initial budget proposal included $5 million for Fort Lincoln Park in Fiscal Years 2018 and 2019, but funding for Theodore Hagans was delayed until Fiscal Year 2023. 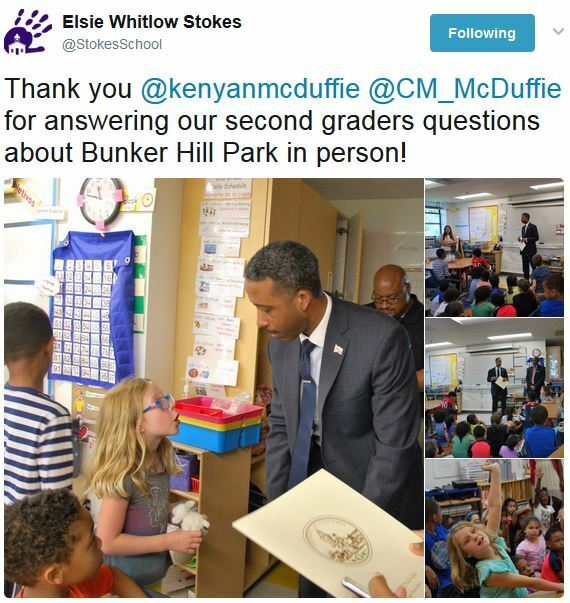 Councilmember McDuffie worked to accelerate the funding for Theodore Hagans ensuring that both the projects will begin in Fiscal Year 2018, so that this growing community can finally enjoy the amenities they sorely need. $20 million for the Lamond Riggs Library. Folks on the north side of Ward 5 know it is past time for a modern Lamond Riggs Library, and this budget keeps Lamond Riggs Library on track with the full funding in Fiscal Year 2018 and 2019 for a new facility at its current location. $7.2 million to modernize the Arboretum Recreation Center. This budget maintains funding for renovation of the Arboretum Recreation Center set to begin in Fiscal Year 2018. $5 million for the Langdon Recreation Center. When the initial budget proposal was released, Langdon Recreation Center was not in line to receive any capital improvement funds. 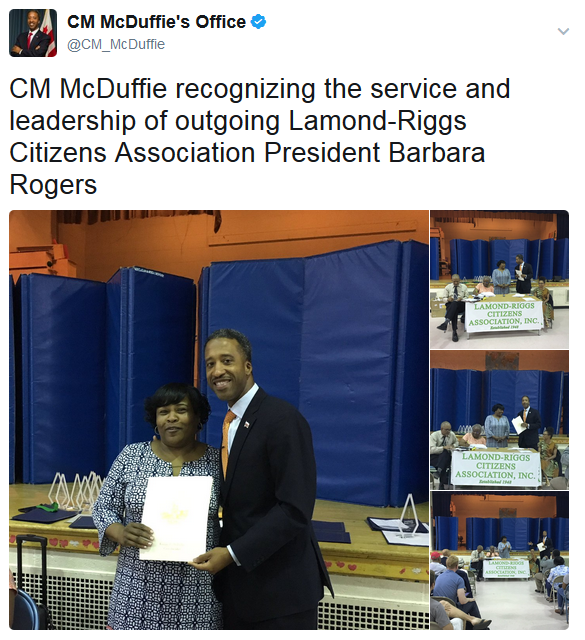 Councilmember McDuffie was able to turn that around and secure funds in Fiscal Year 2023 to modernize this facility. 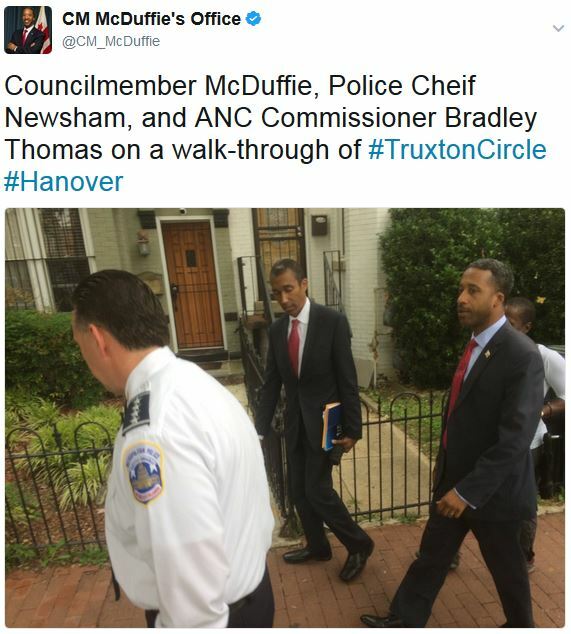 Funding to support Pedestrian Safety in Brentwood and Brookland. Pedestrian safety is an important priority and there are at least two pedestrian crossings in Ward 5 that can benefit from rapid flashing beacons, i.e., flashing crosswalks which notify drivers when a pedestrian is crossing. The circle at Brentwood Road and 13th Street, and the intersection of Michigan Avenue and Perry Street are both areas with a very high count of vehicular traffic and people walking. This budget funds the installation of rapid flashing beacons to make those crossings safer. An increase in Funding for the Transport DC program. The Transport DC program is a vital program that provides transportation for seniors and disabled residents. 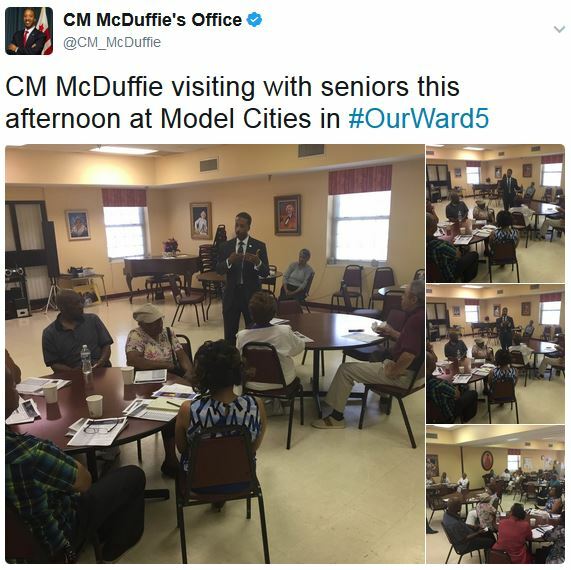 Councilmember McDuffie engaged in several meetings with seniors across the Ward, and the number one concern listed for most was transportation. Increasing funding to this program will allow the Department of For-Hire Vehicles to provide more heavily discounted rides to residents. $5 million for the modernization of Browne Education Campus. Browne, which features an International Baccalaureate curriculum and primarily serves residents in the Carver Terrace and Langston Terrace neighborhoods, has asked its faculty and students to make the best out of a poor facility while campuses across the District have been modernized. The Council’s budget finally gets Browne on track for a modernization. This budget also addresses city-wide concerns like education, affordable housing, and public safety. I heard from parents and advocates concerned about education funding and the Council stepped up to ensure a 3% increase in the Universal Per Student Funding Formula. This budget funds important programs like the Local Rent Supplement Program to help keep people in their homes. I am especially proud to have championed a new program to provide low-income tenants with legal representation when they are in landlord-tenant court. This landmark legislation positions D.C. as a national leader in the 'Civil Gideon' movement, which seeks to ensure fairness to tenants and keep families in their homes. To increase fairness for returning citizens looking for housing, the budget funds legislation I authored last year to "Ban the Box for Housing," meaning that a housing provider can only run a background check after a conditional offer of housing has been made. On public safety, last year I was proud to have authored the Neighborhood Engagement Achieves Results Act (aka NEAR Act), which is an innovative, public health-based approach to crime reduction. 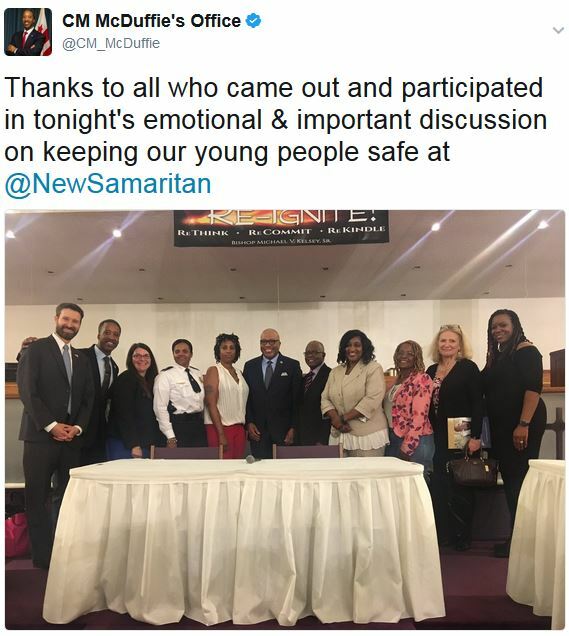 This budget funds the new Office on Neighborhood Safety and Engagement, as well as a pilot program to embed staff from the Department of Behavioral Health with the Metropolitan Police Department. 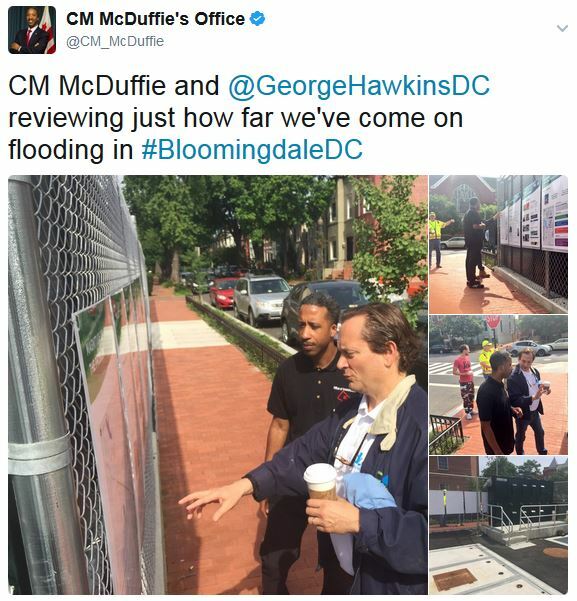 I also am proud to have supported increases to DCRA's capacity to enforce and review permits and though my Chairmanship of the Committee on Business and Economic Development, I also funded a study to improve CBE capacity and increase their contracting opportunities with the District's anchor institutions, hospitals, and universities. And all of that is just the highlights of the budget. With this budget, we are improving Ward 5 and increasing the quality of life for District residents. Progress is never quick enough, but we are taking important and meaningful steps toward a better tomorrow. 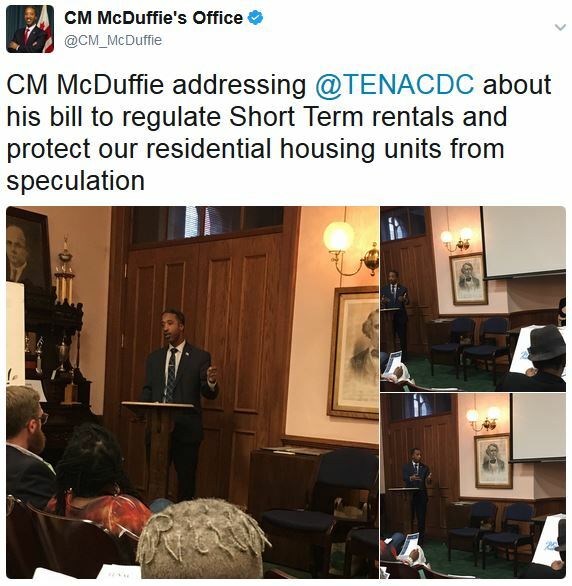 Councilmember McDuffie recently introduced the Diversity in Fund Management Amendment Act of 2017 [B22- 0286]. 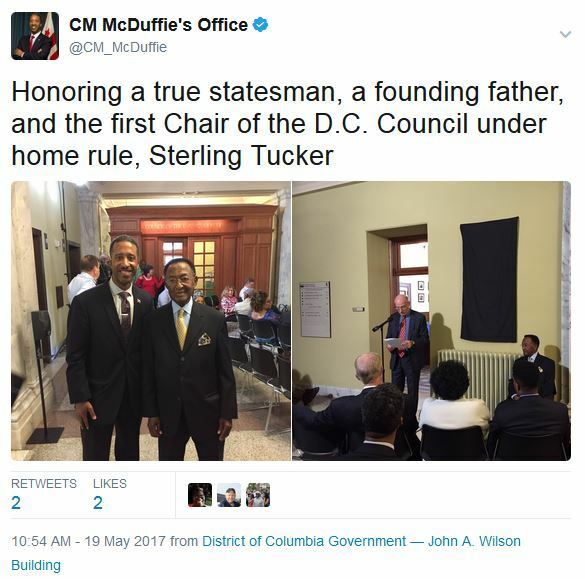 The aim of this legislation is to increase the gender, racial, and ethnic diversity of people who manage the assets in the public employee retirement fund by requiring the District of Columbia Retirement Board to report annually on the affirmative steps it has taken to hire diverse fund managers. A recent study by the John S. and James L. Knight Foundation found that while performance asset managers of diverse-owned firms is comparable to that of their non-diverse peers, diverse asset managers hold just 1.1% of the $71.4 trillion assets under management across the world. 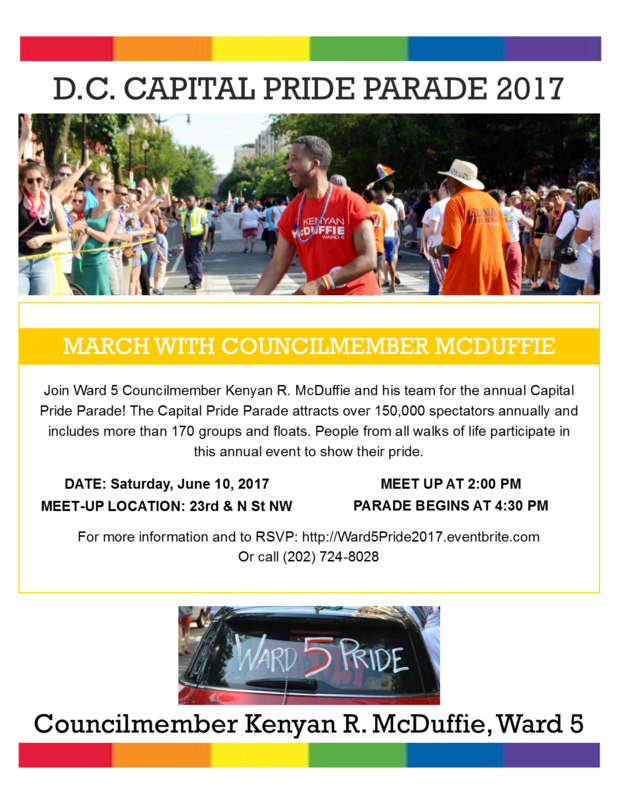 Join Ward 5 Councilmember Kenyan R. McDuffie and his team for the annual Capital Pride Parade! The Capital Pride Parade attracts over 150,000 spectators annually and includes more than 170 groups and floats. People from all walks of life participate in this annual event to show their pride. Councilmember McDuffie issued a statement on this proposed train parking facility in February. 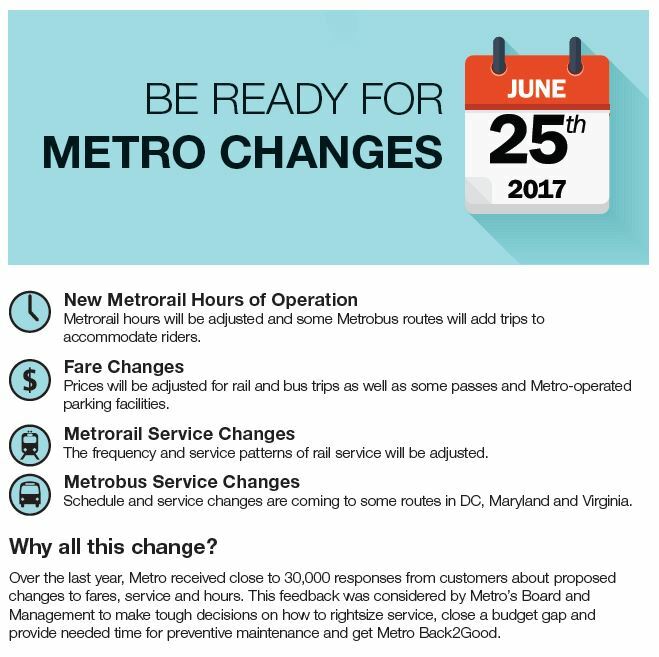 Be aware that starting June 25, service changes are coming to the Metro system. The only service changes Ward 5 will experience is additional late-night bus service on select routes (G8, 90, 92, 96), to compensate for the MetroRail now closing at 1am on weekends. For more information check Metro's website.